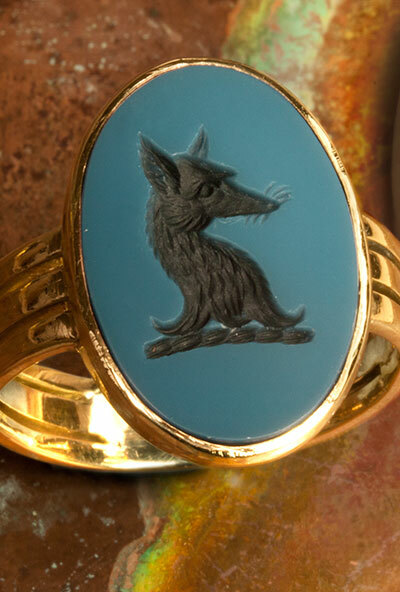 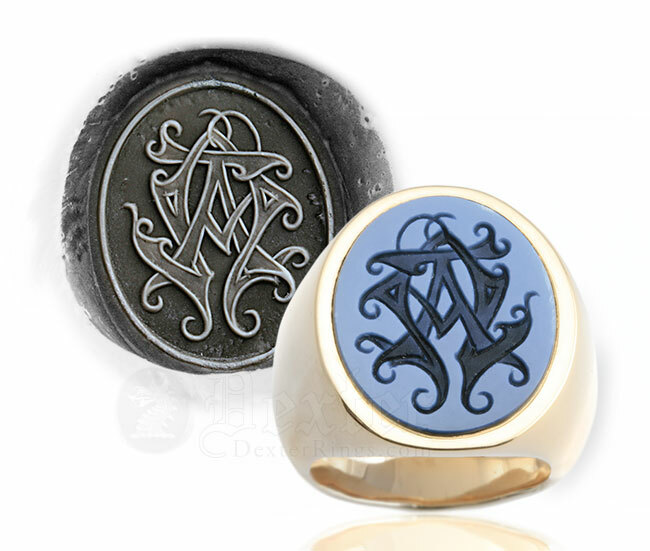 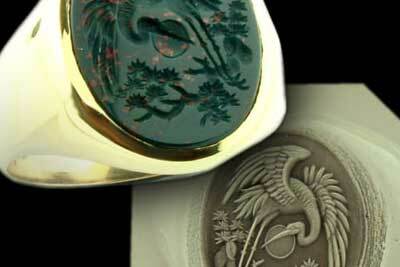 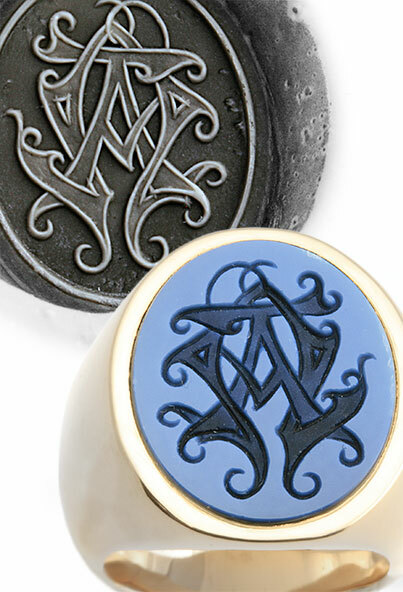 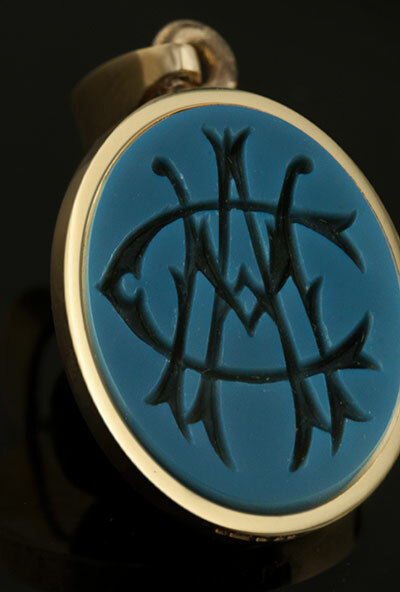 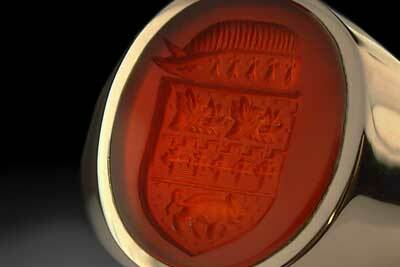 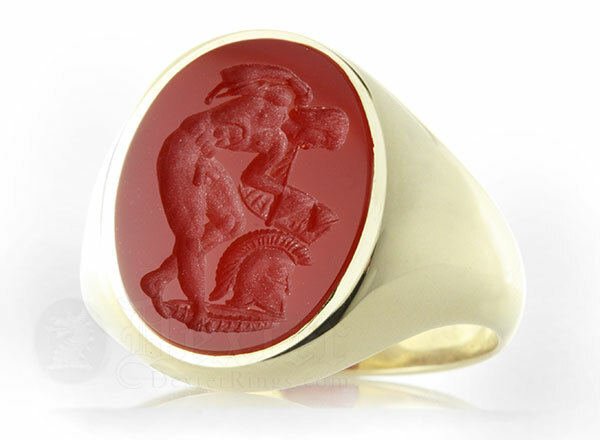 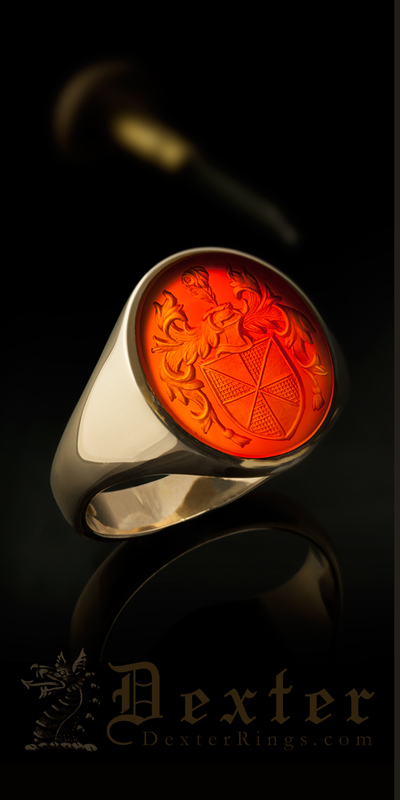 Our senior Master craftsman William Wright, has 50 years experience as an heraldic seal engraver on gold and gemstone rings. 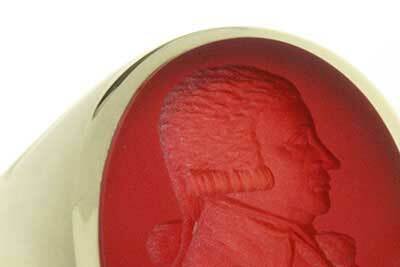 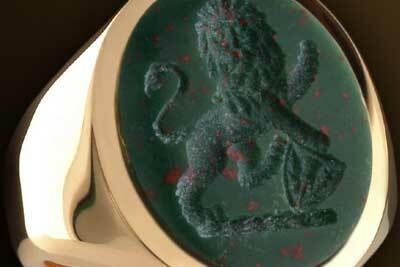 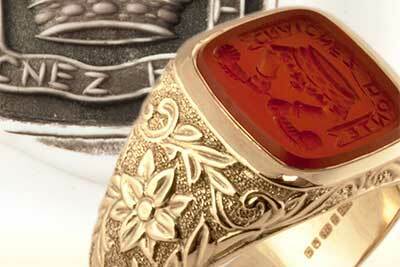 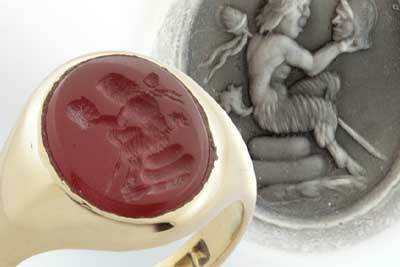 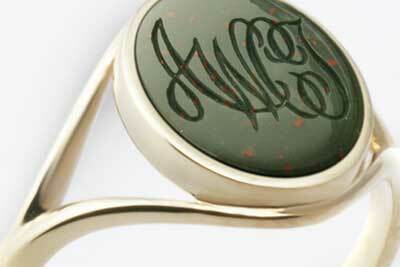 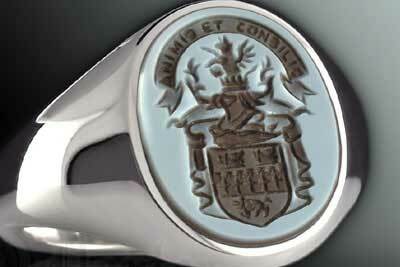 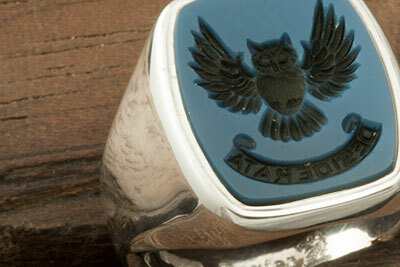 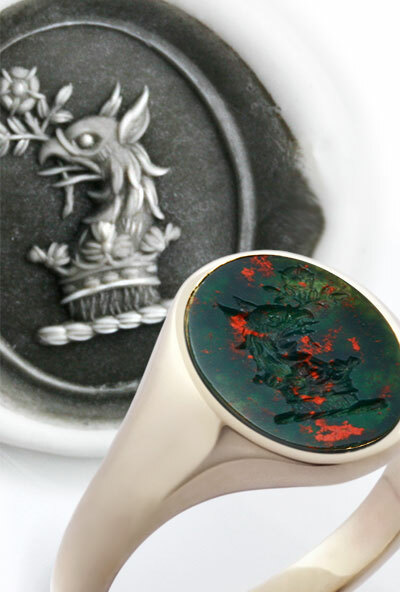 William hand engraves precious metal and gemstone full time, while overseeing our small team of engravers. 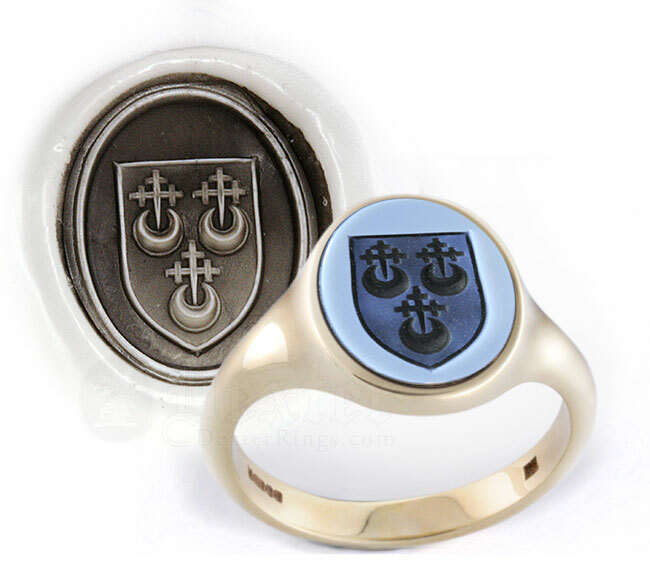 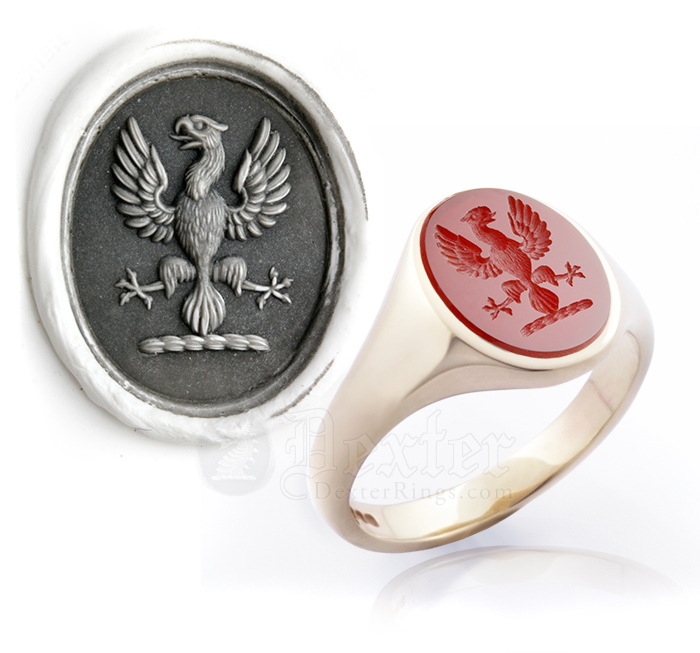 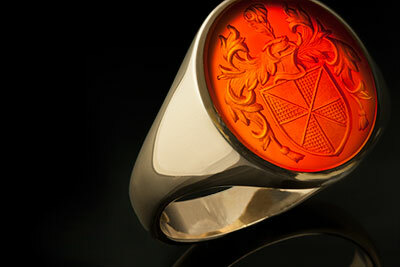 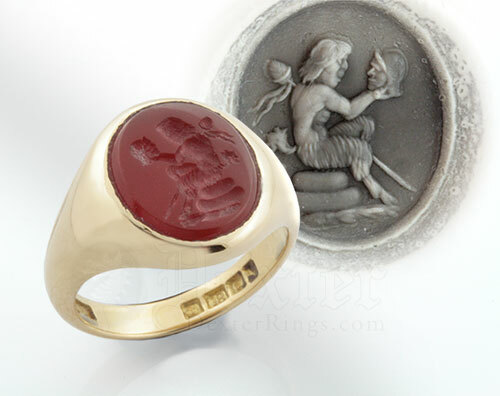 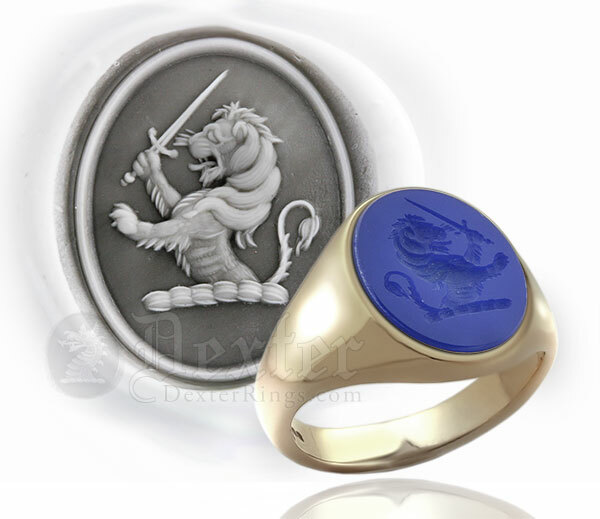 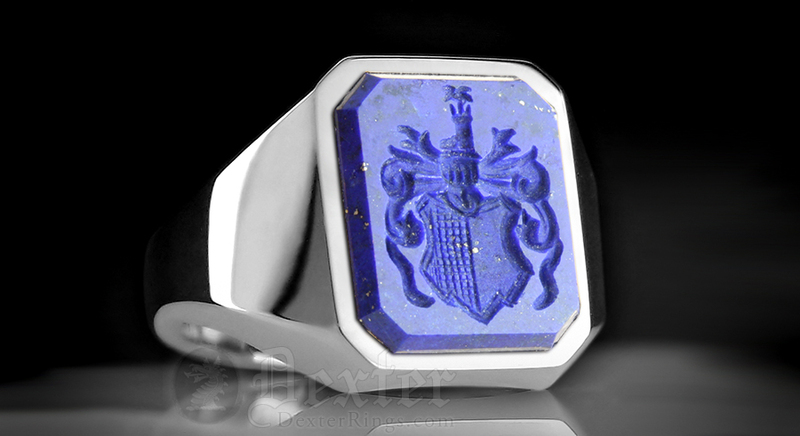 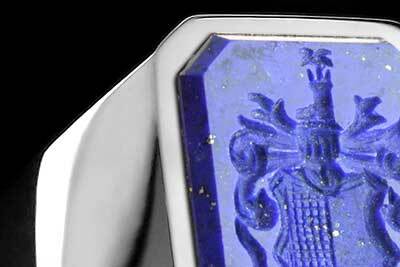 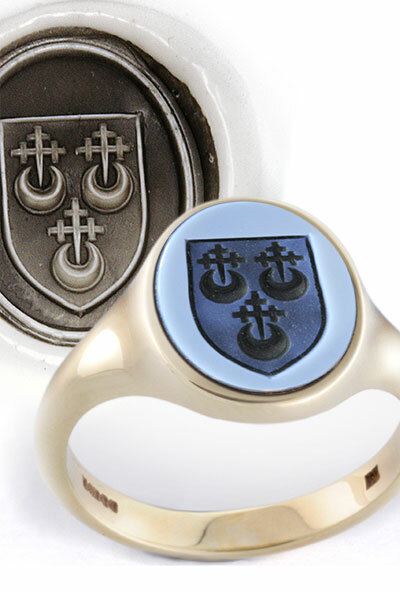 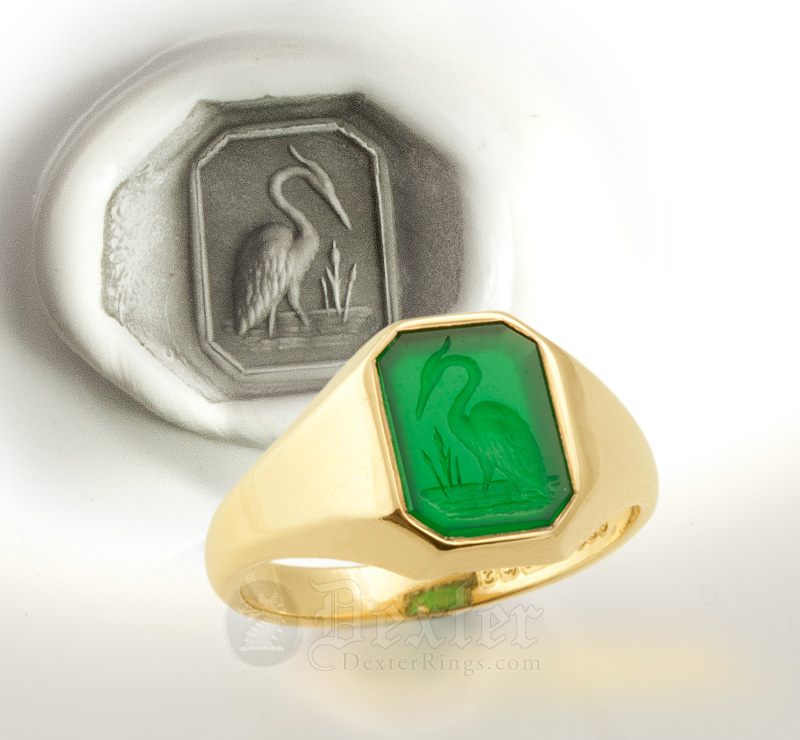 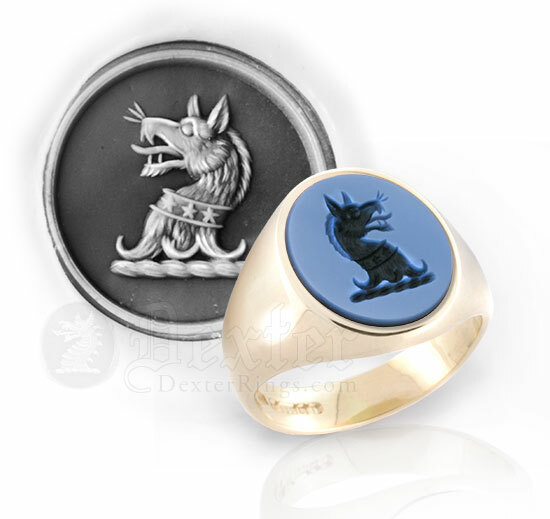 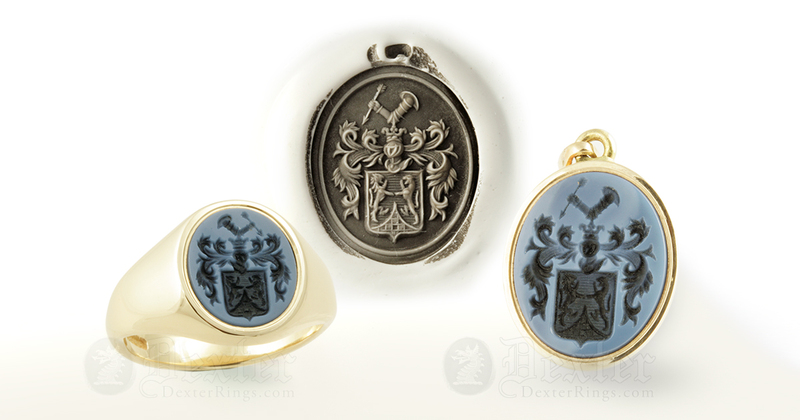 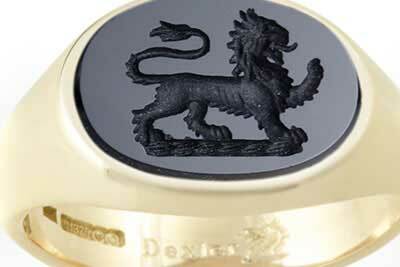 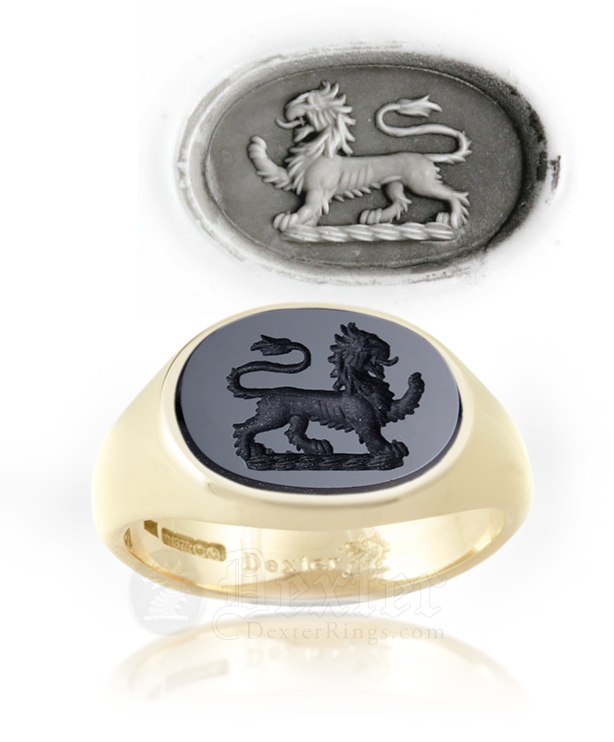 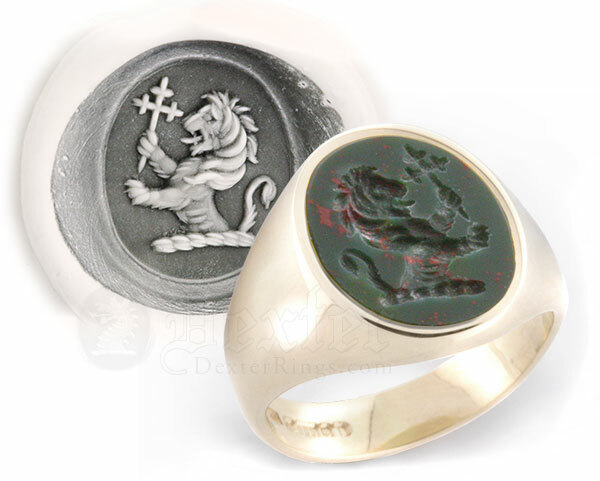 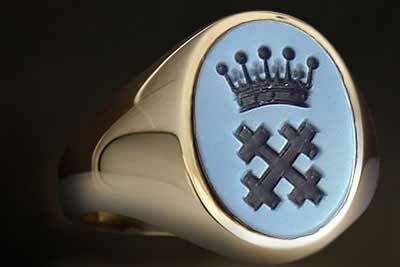 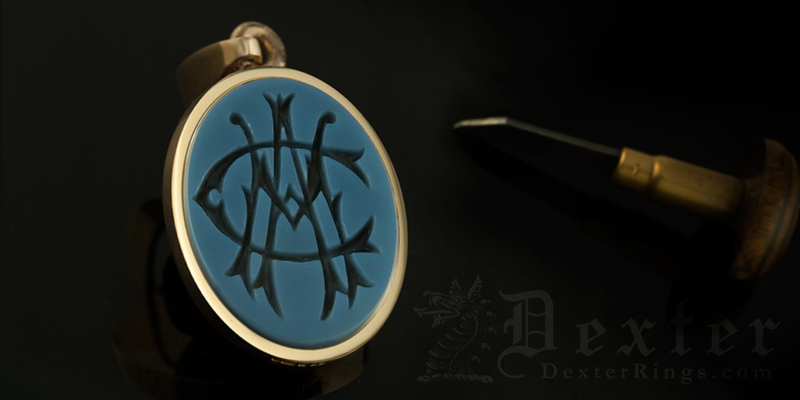 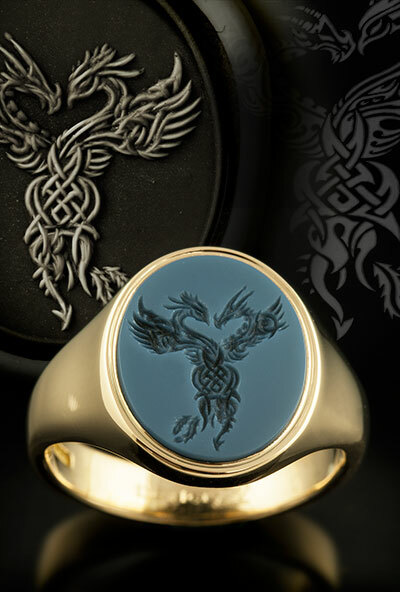 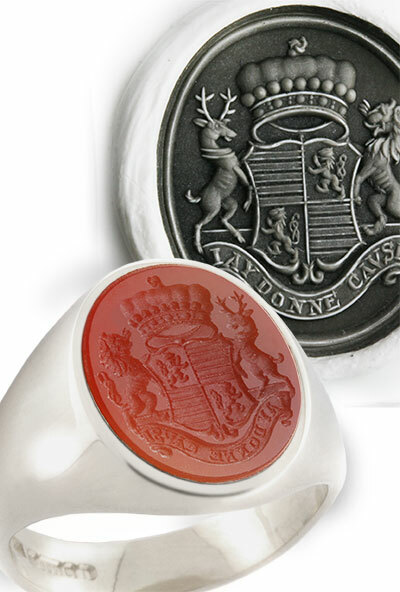 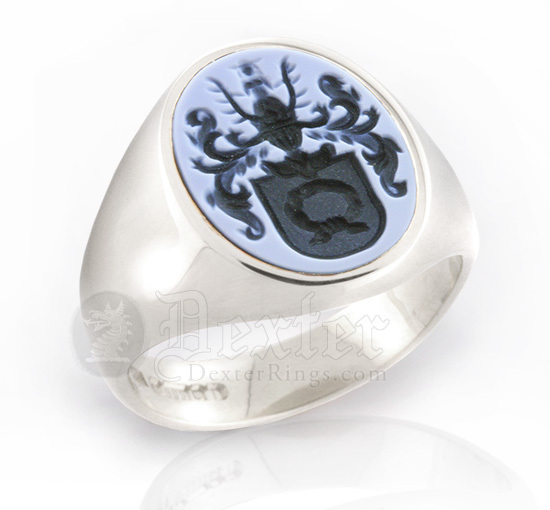 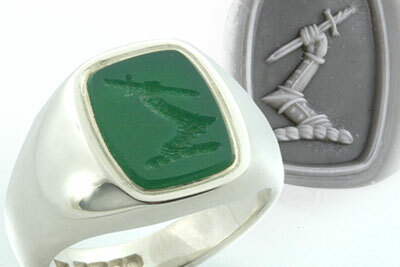 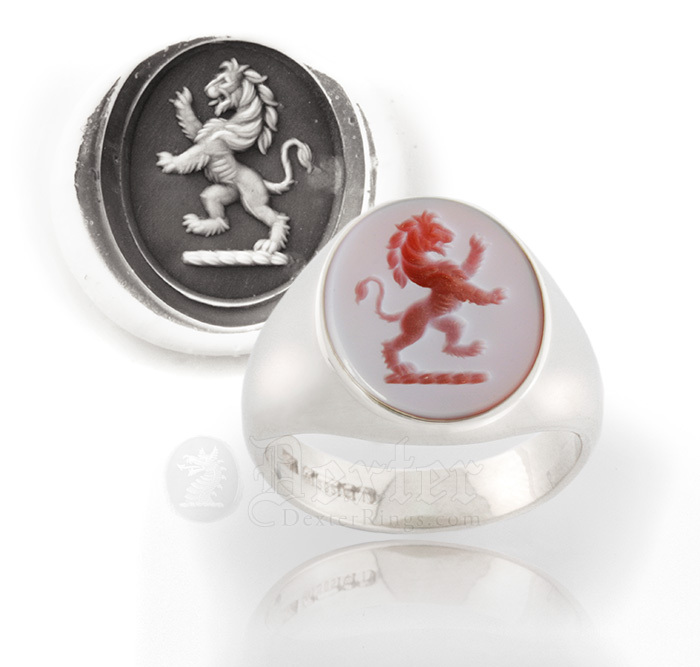 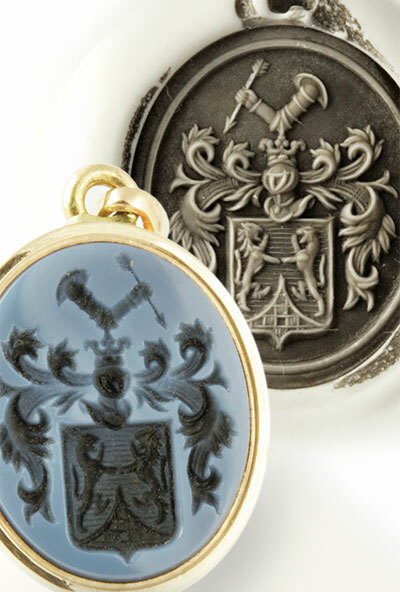 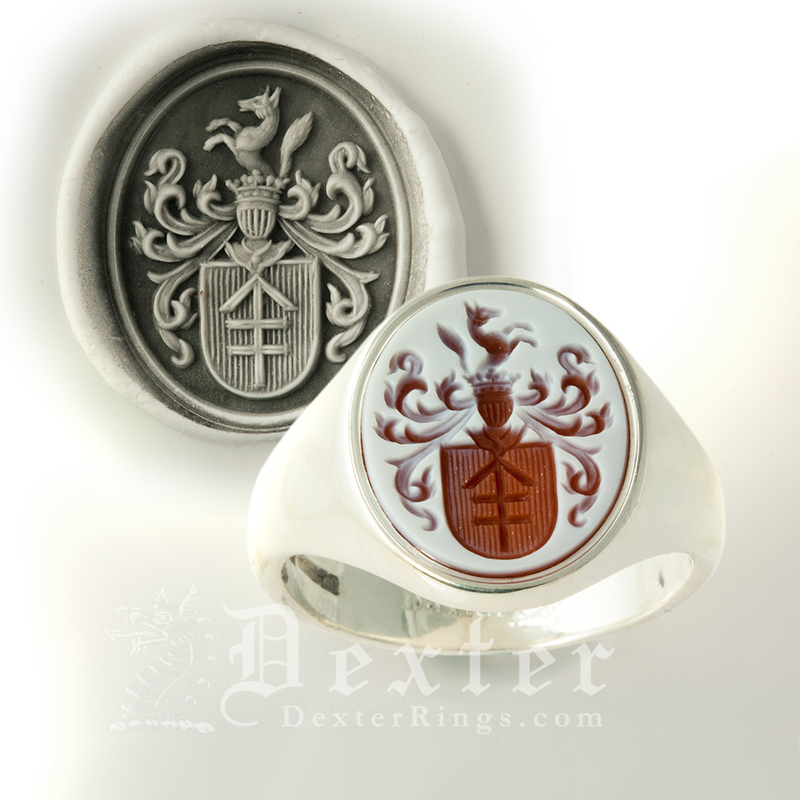 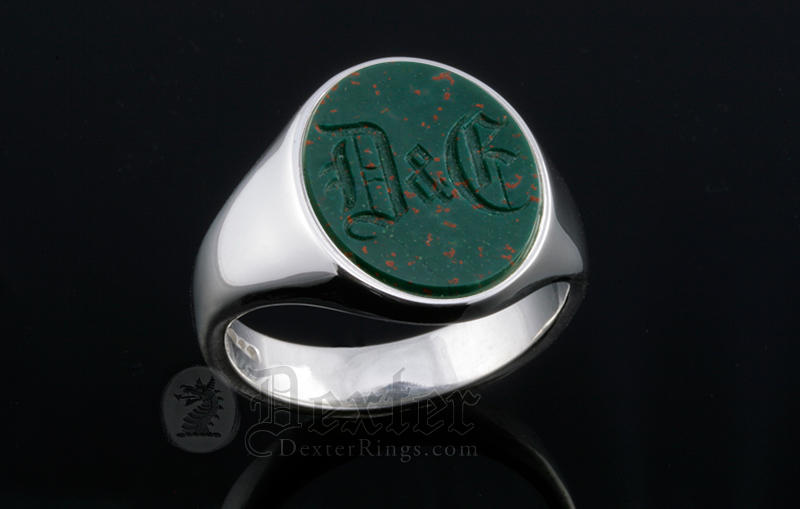 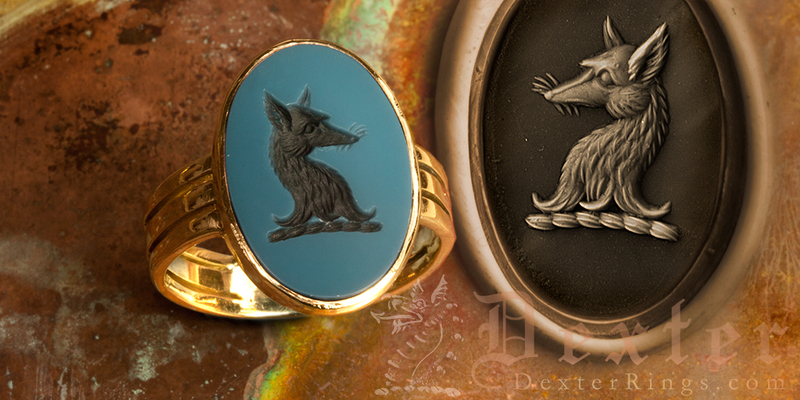 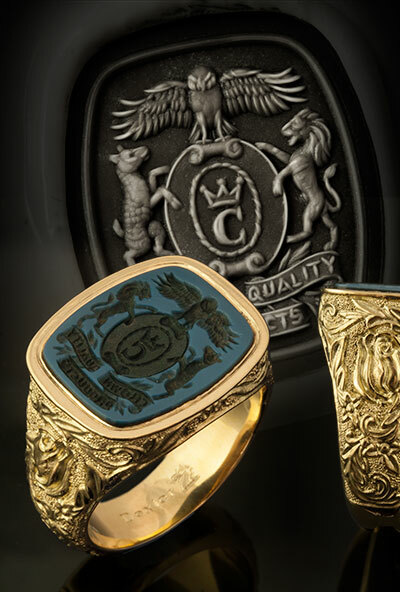 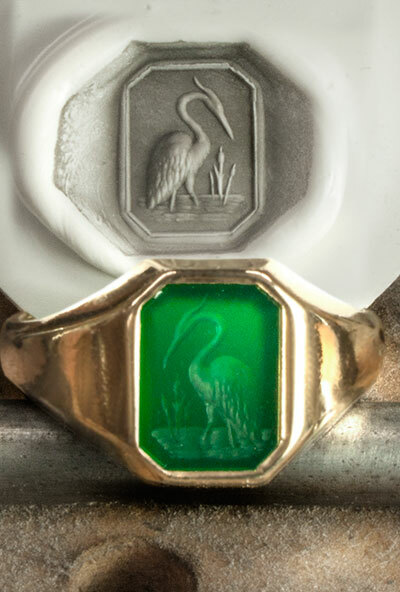 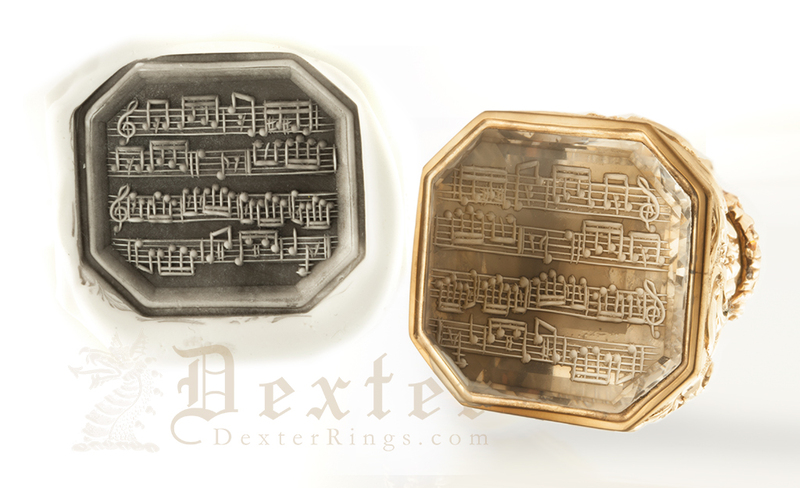 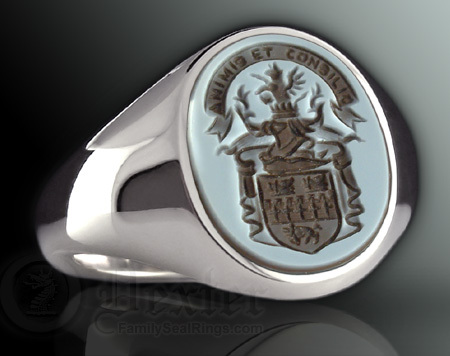 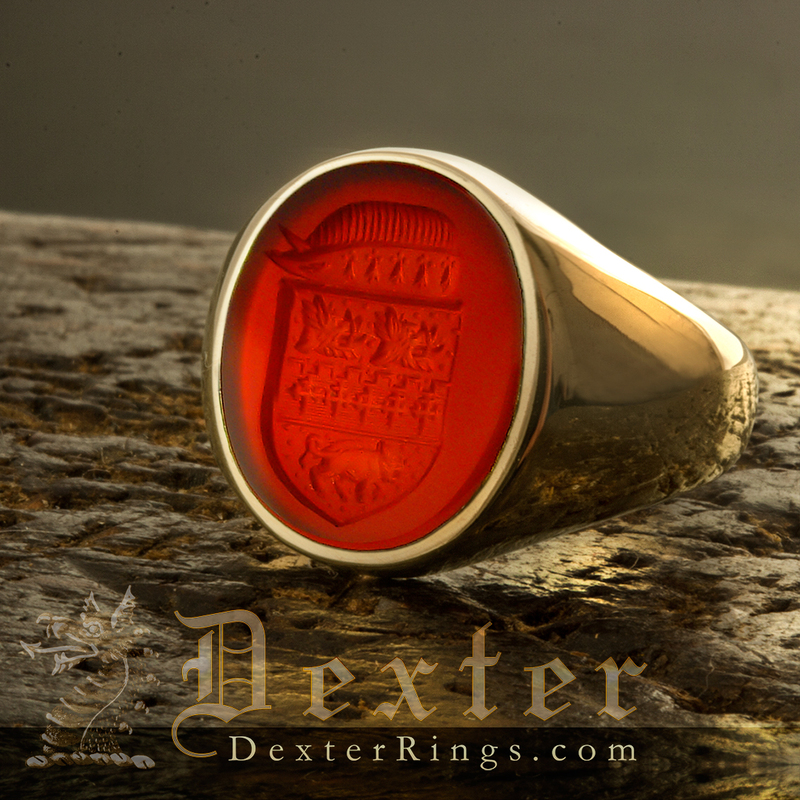 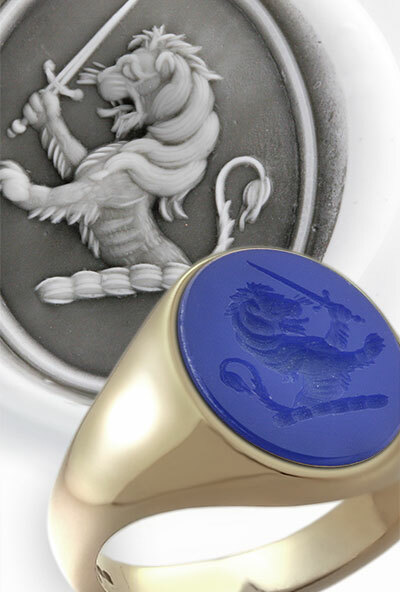 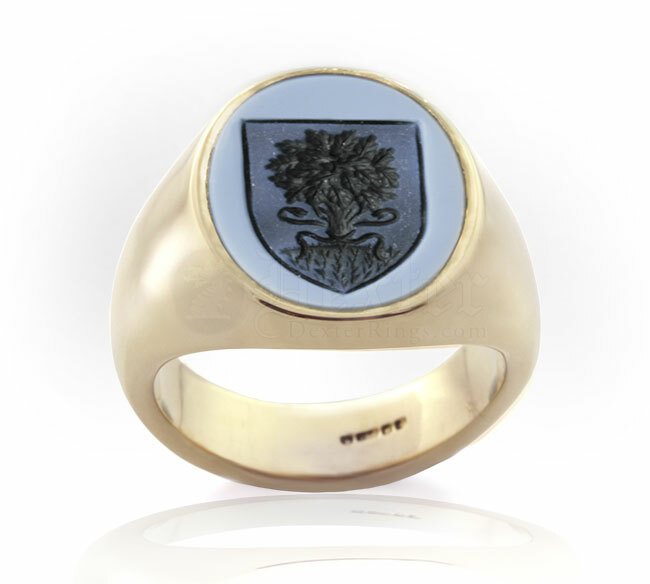 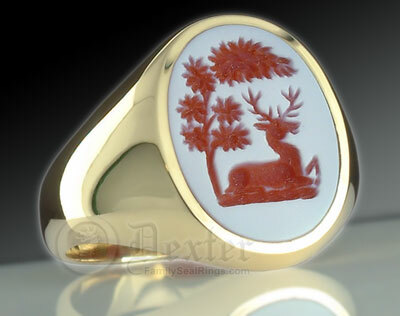 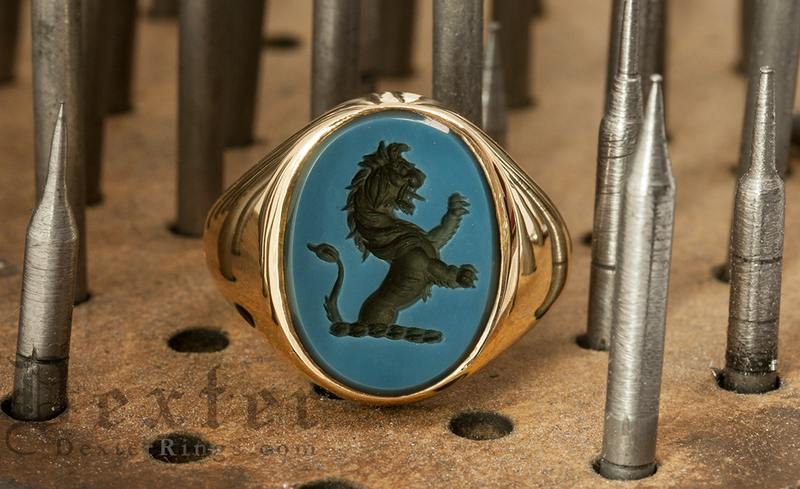 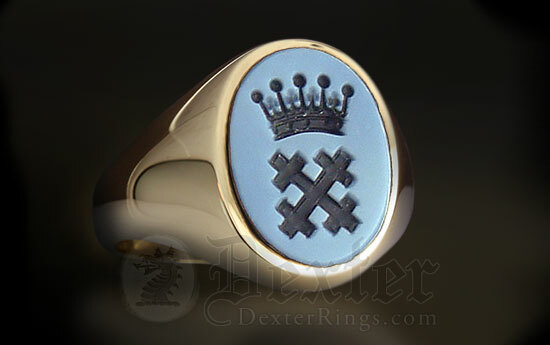 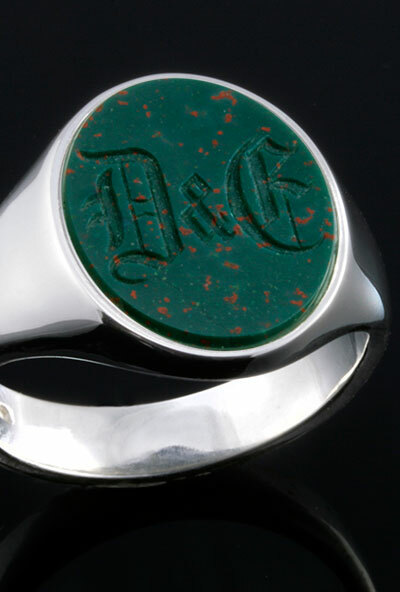 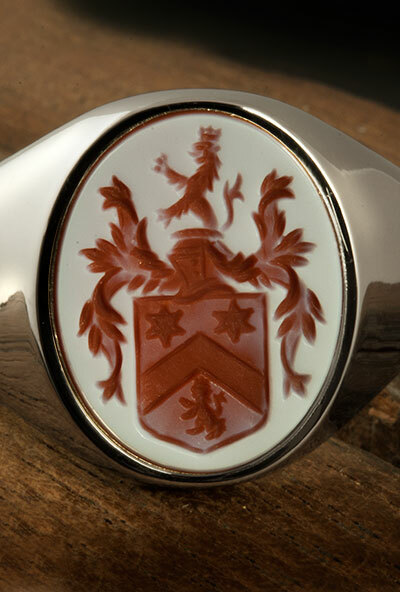 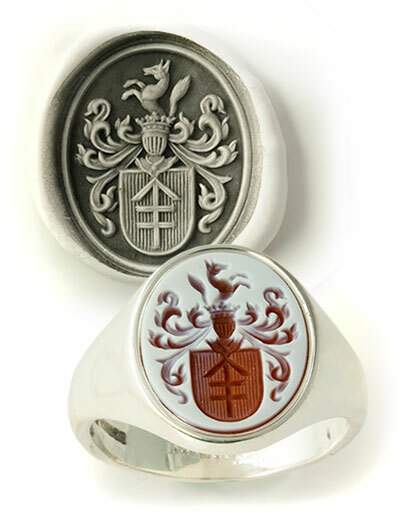 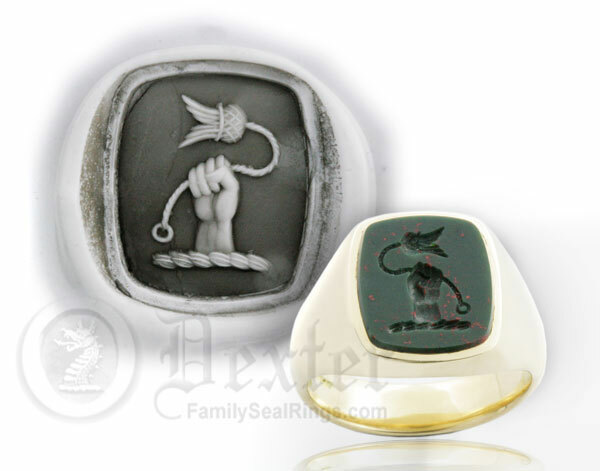 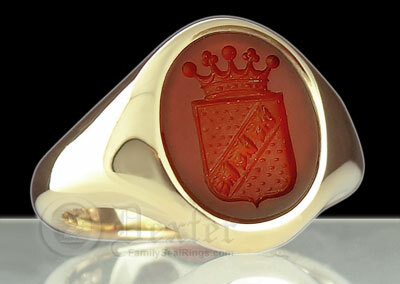 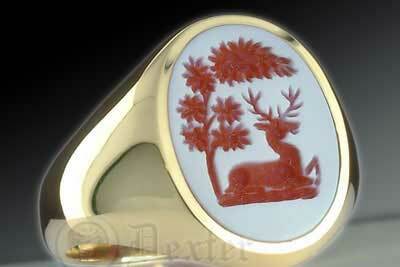 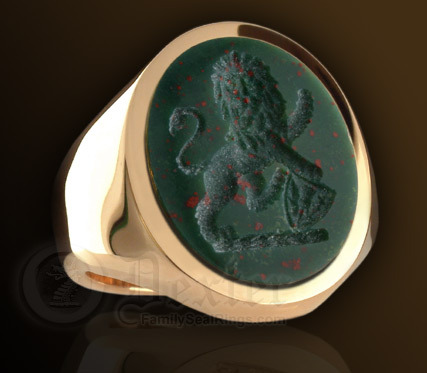 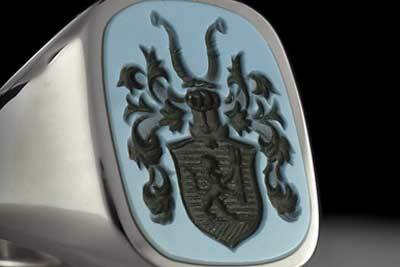 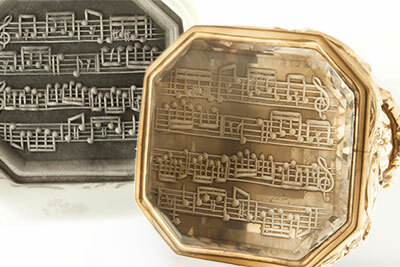 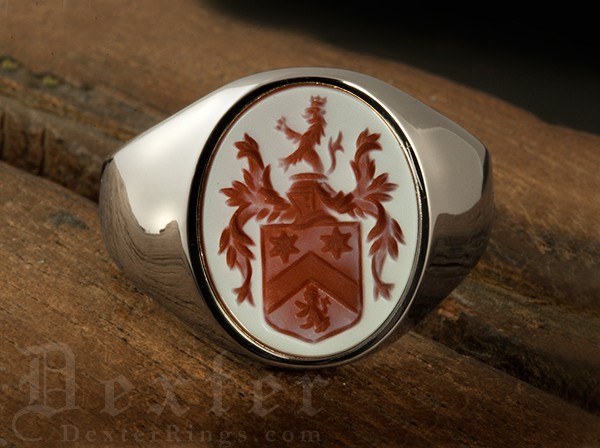 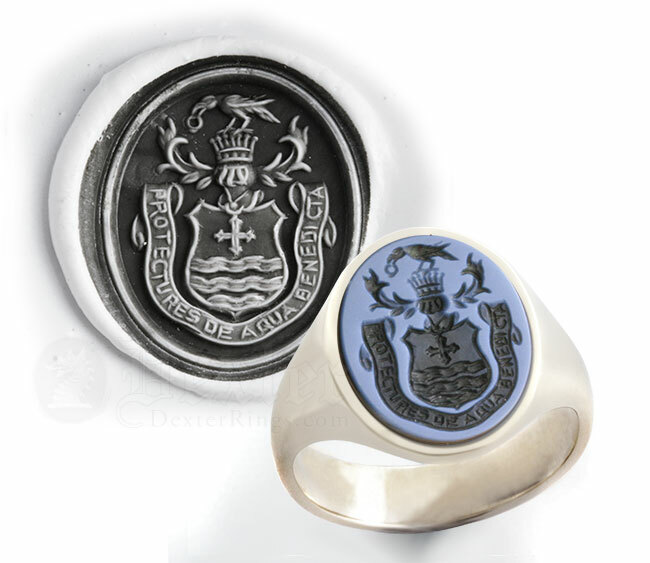 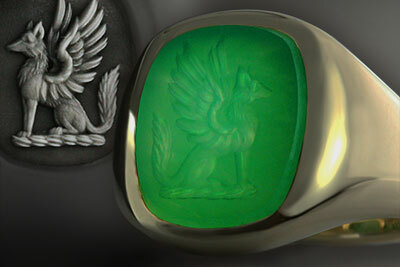 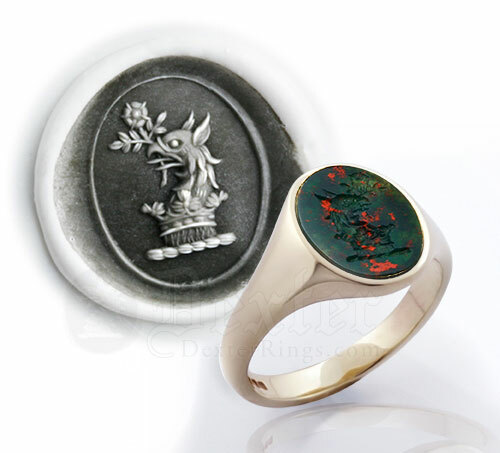 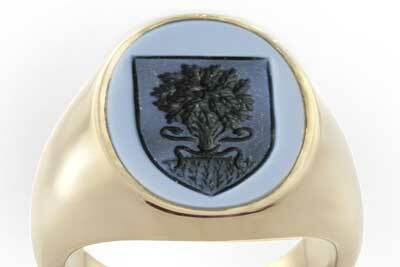 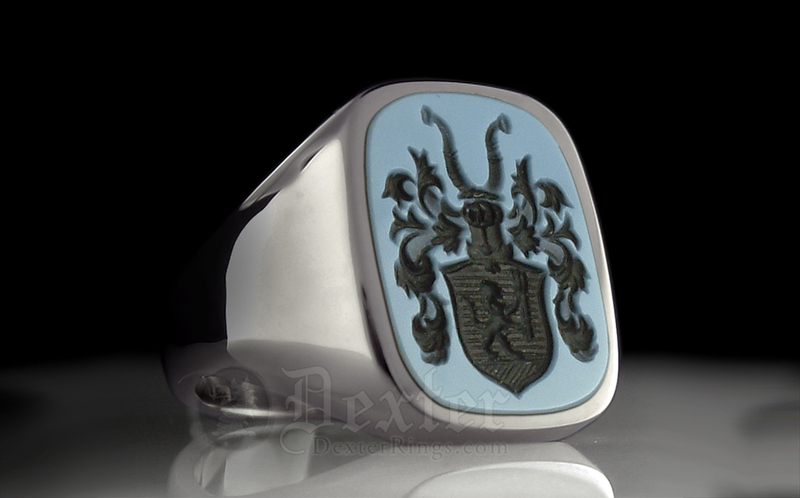 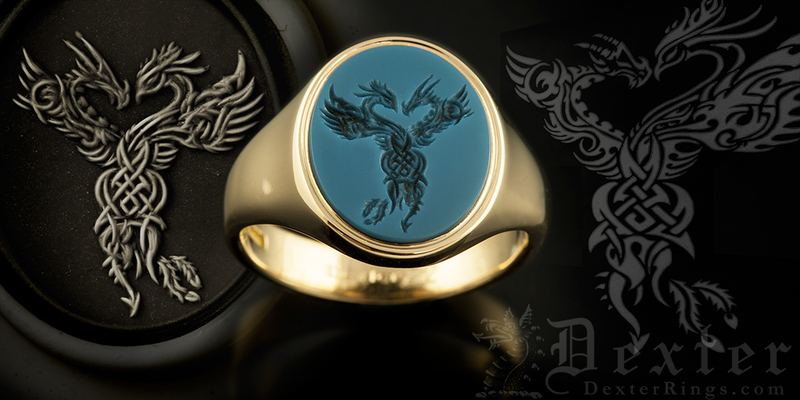 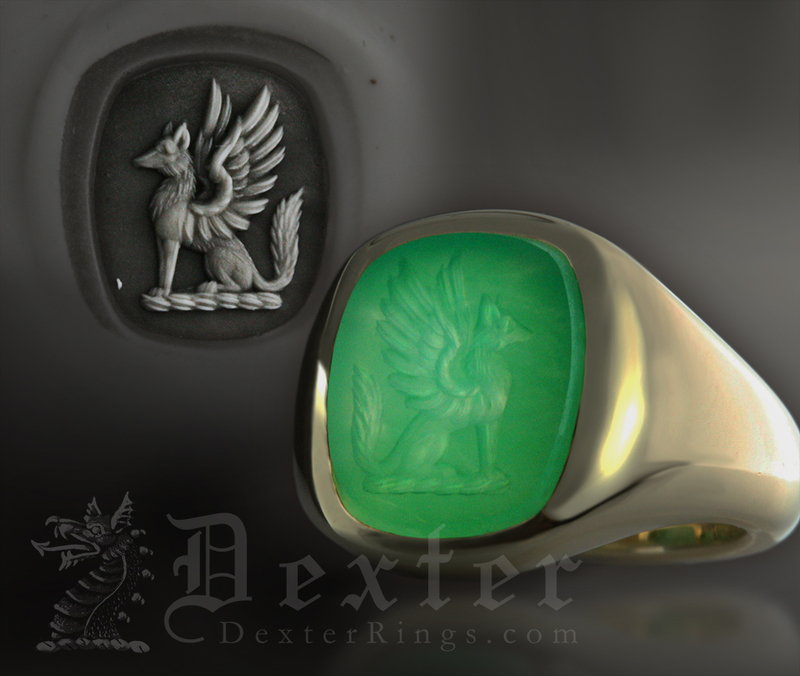 His son Simon, is head engraver and managing director of Dexter Rings Ltd, has been an heraldic hand engraver for 30 years and mainly concentrates on precious metal engraving. 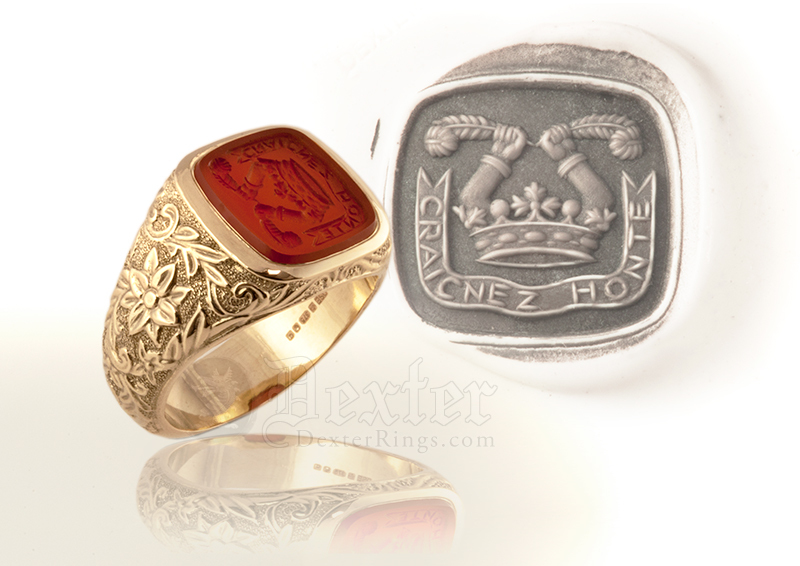 The recent addition of grandson Joe, as apprentice currently specialising in gemstone rings, means Dexter Rings has now three generations of Wright family engravers! 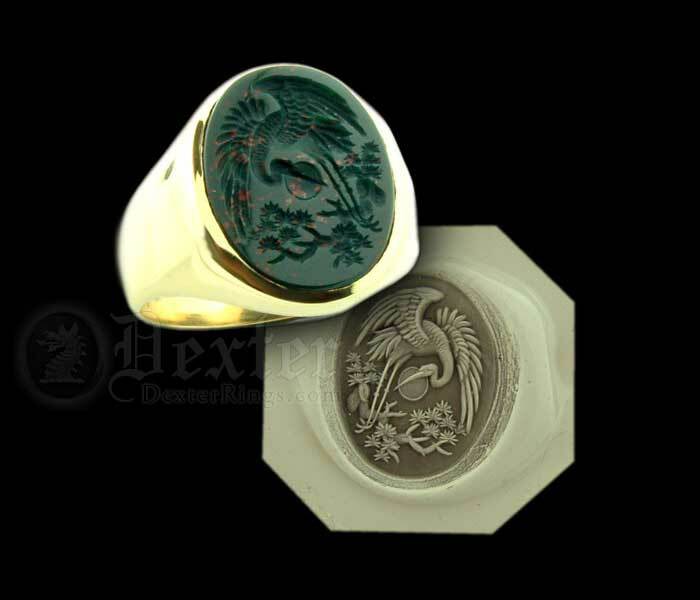 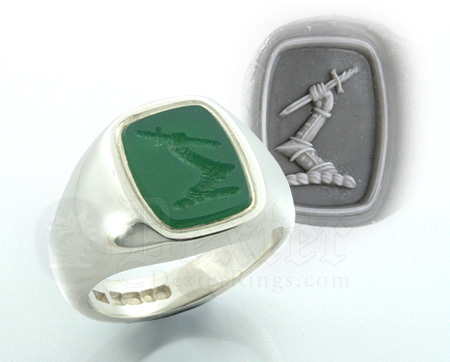 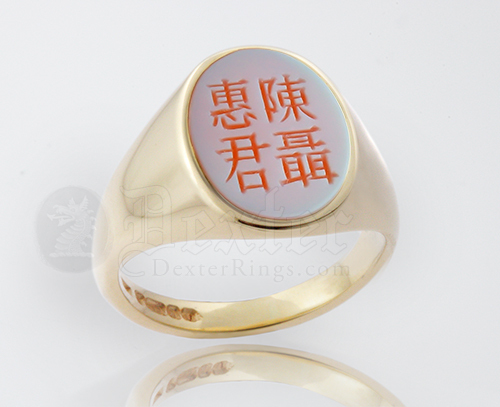 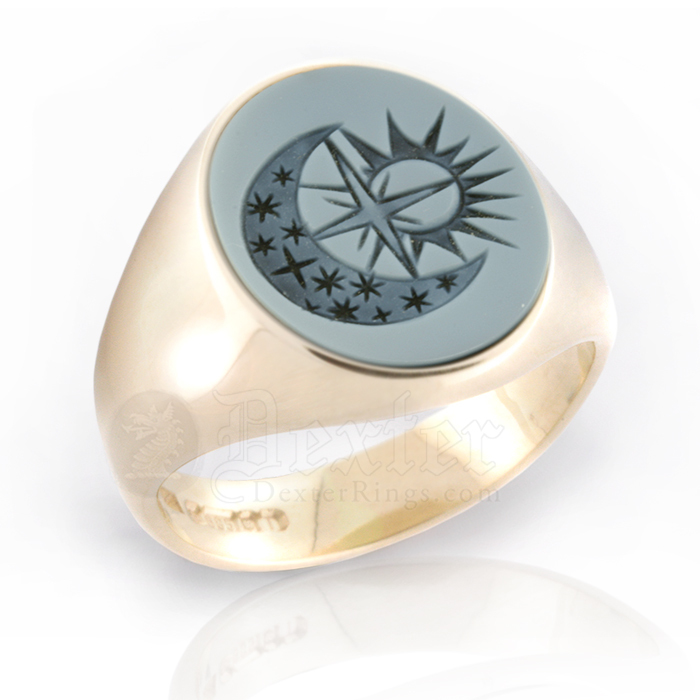 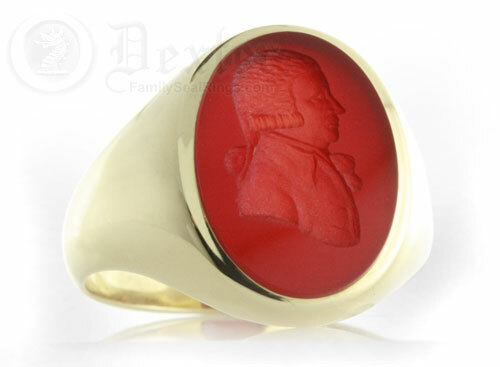 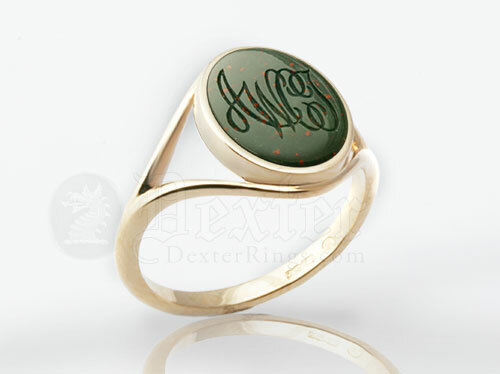 Gemstone engraving is an ancient, extremely rare, and somewhat time-consuming craft, it would be a pleasure to provide you a gemstone quotation, please give us a clear idea what you would like engraving, you preferred gemstone, precious metal, head size, and where you are in the world. 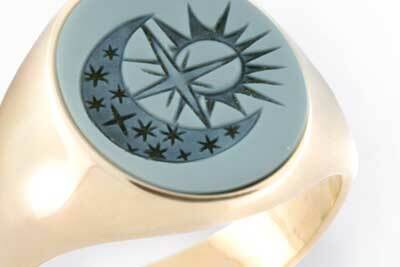 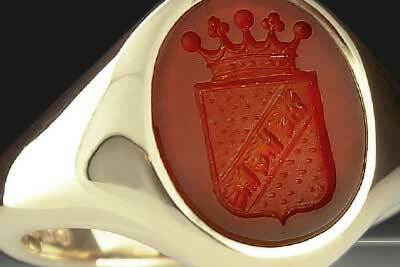 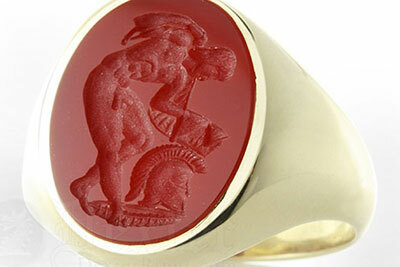 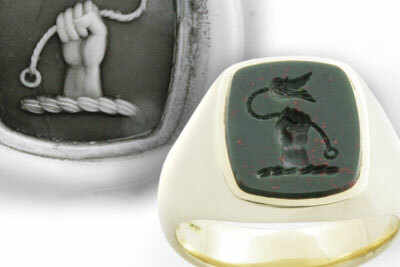 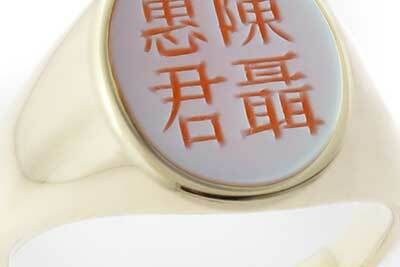 Opaque gemstones are supplied set within closed back rings. For translucent stones, like carnelian, we recommend open back mounts in the traditional style, which allow the light to pass through, complementing the natural beauty of the stone and the detail of the engraving.